Mudra means “seal”. 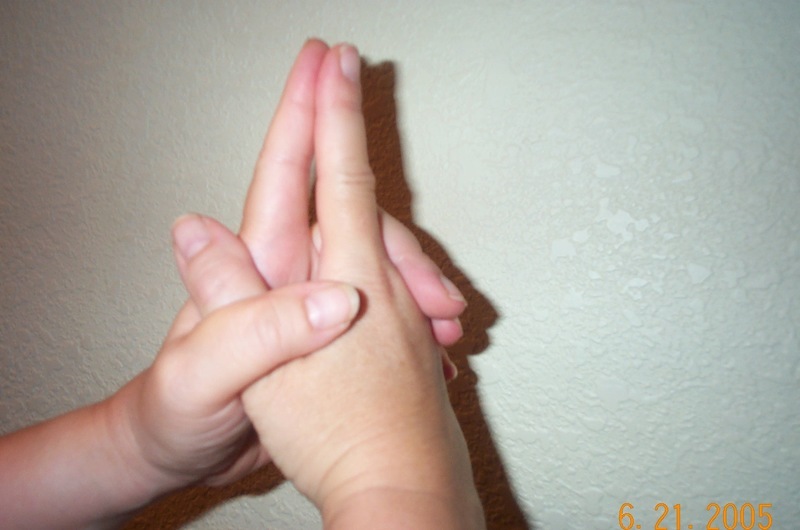 These hand (and sometimes whole body)positions are used to energetically and symbolically connect body/mind consciousness and complete a circle of energy. 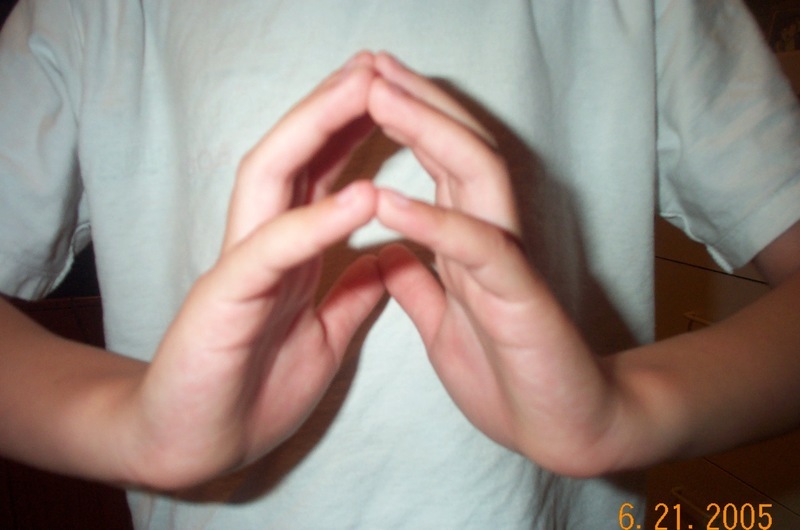 I often observe people naturally and even unconsciously forming hand mudras to steady their minds or physical energy. Mudras can be practiced anywhere or anytime you need to focus and concentrate, and they’re also integral to meditative practices. 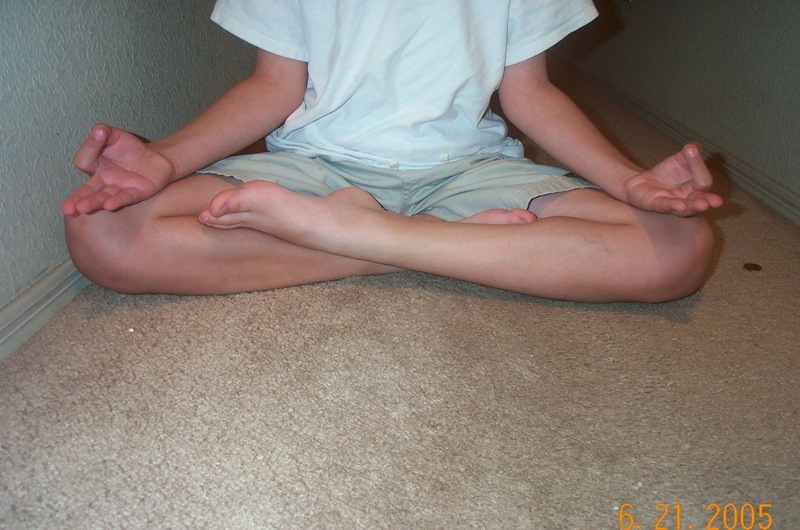 Many Yoga postures include mudras to enhance and intensify asana practice. 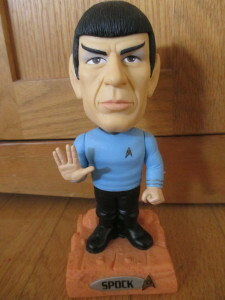 Live long and prosper.Prescott AZ thrift store find. Notice how colleagues in meetings naturally form this mudra while pondering. Hakini This mudra is said to benefit the brain, third eye, and lungs. It balances the right and left sides of the brain and creates cooperation between them. It’s used to increase concentration and stimulate ideas. Place all of your fingers together. Place the tip of your tongue on your teeth when inhaling, and let if fall when exhaling. 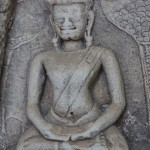 This is the mudra of enlightenment. It also helps me to think. Uttarabodhi Both hands are held at the level of the chest, the two raised index fingers touch one another, the remaining fingers are crossed and folded down, the thumbs touch each other at the tips or are also crossed and folded. This mudra can be used to stimulate ideas. In Sanskrit, this is the mudra of extreme enlightenment. Here’s a young Jesse in Jhana mudra. He was too shy back in the day to let me show his face :). 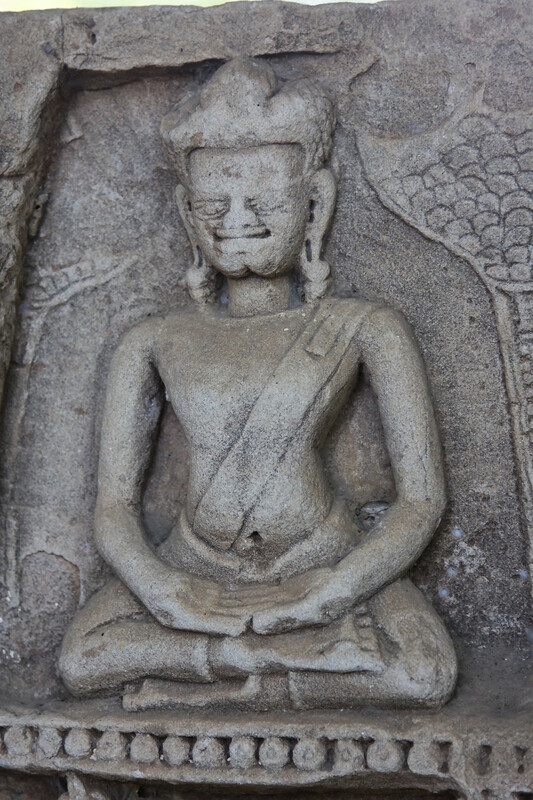 Jhana Mudra. Place the tip of the thumb on your index fingertip and extend your other fingers. You can lay both hands on your thighs in a relaxed way. This is the famous hand position of hatha Yoga. In regular practice over time, it can help sharpen memory, mental concentration and thinking. A version of this article was originally published on the Yogalila blog, a website near and dear to my heart populated by brilliant and beautiful women from near and far.